A workshop put in contact companies and researchers in the area of ​​nanomaterials. Organized by the University of Burgos, the event has had an innovation gallery, posters and displays. 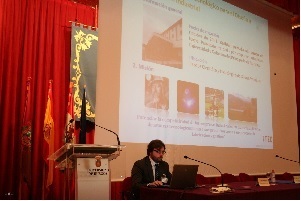 The Advanced Materials, Nuclear Technology and Applied Nanotechnology Department, University of Burgos, in collaboration with the Office of Research Transfer (OTRI-OTC) held a workshop on innovation with companies focused on advanced materials and new materials based NANOTECHNOLOGY.